On May 10th of this year; the Assembly of the Republic of Kosovo voted to decimate the Government. The coalition which had been in power until then was no longer functional; and many critical issues in Kosovo were continuously not being resolved. For the LGBT community, this presents stagnation in the advancement of LGBT rights. The three LGBT rights organizations which had initially planned to hold the IDAHOT march on May 17th; decided to postpone it, scheduling it instead for October 11th– on International Coming Out Day. This was done because of the current inexistence of Kosovo’s Government; meaning there is no platform for us to raise our concerns on. Initially the march was supposed to target families of LGBT persons; as well as institutions with which we were going to raise issues and concerns regarding the LGBT community. Although other issues in regard to the EU Accession are continuously debated on between the position and opposition; human rights, let alone LGBT rights, rarely make the cut. The focal point is never about addressing said issues; but rather working on points which are important to them for political strategies. This year, the aim was to engage institutions and make recommendations to improve the lives of LGBT people. We fear this situation will have a negative impact on EU integration. 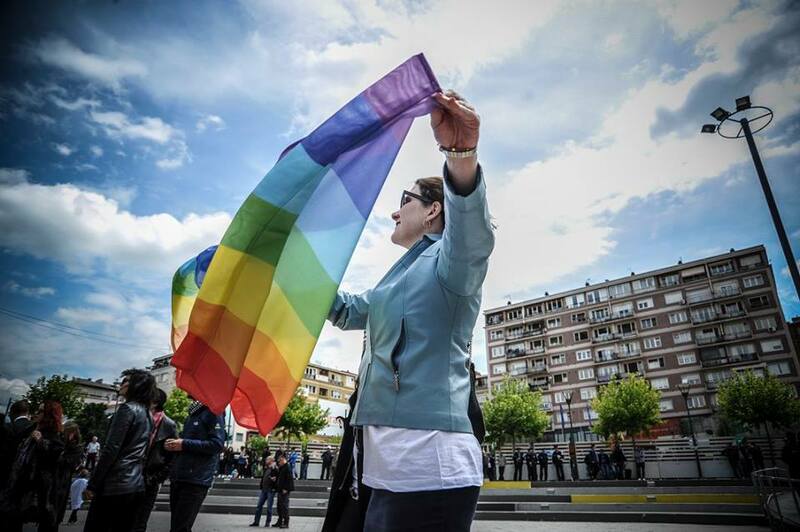 In regard to LGBT rights, the EC’s recommendations haven’t even been taken into account until now, seeing as no politician- in power or otherwise- has ever mentioned the rights of the LGBT community, and how they should be advanced and protected (aside from the President of Kosovo at the 2016 IDAHOT March). What is even more worrying is that none of the political parties taking part in the election have included LGBT rights in their political platform. The EC’s recommendation to ensure SOGI hate crimes are properly investigated, so far has been put aside, and no advancements have been made in that direction. We remain to see if the Advisory and Coordination Group (ACG) within the Office for Good Governance will take into account the EC’s recommendation that a more proactive role needs to be taken.